The Handstand | Run Inspired. I immediately insisted that Mario and I start practicing our handstands and back handsprings, despite the fact it was 11:00 pm. It looked like fun and I wanted to do it too. 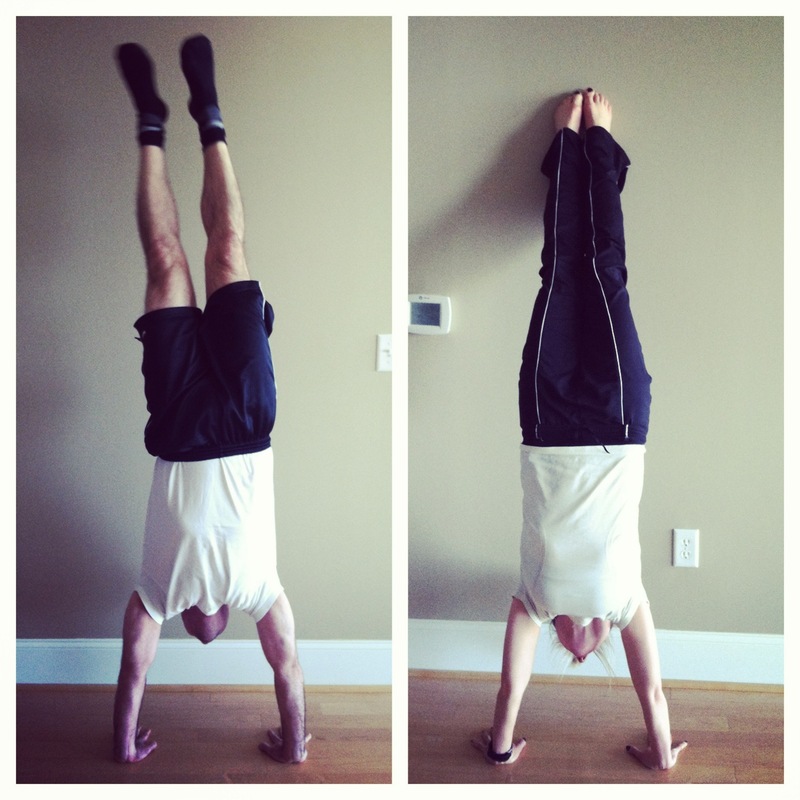 I started my Sunday morning with a few handstands today. Thankfully, I have a nice wall to keep me from falling over, because I know I could’t do it any other way. Interestingly enough, when I had Mario snap a pic, I was so crooked! I imagine that’s exactly how my body is when I run, except this time I was upside down. I was able to correct it, but it was still enlightening. Maybe I’ll start all my mornings with a handstand. What better way to wake up? Sunday morning at the Rodriguez household. Recovery Update: I’m continuing to walk better and with less pain. My goal is to get in two active recovery runs this week, but if I can not, then I will bike. It’s hard to imagine two weeks ago this time I literally could not walk. Time flies! Brilliant! Perfect for a late Friday evening! !